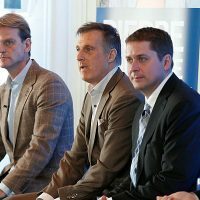 Amid unproven allegations that Maxime Bernier’s leadership campaign fraudulently signed up members, which Mr. Bernier denies, The Hill Times has learned his membership chair was accused of using similar tactics in 2010. 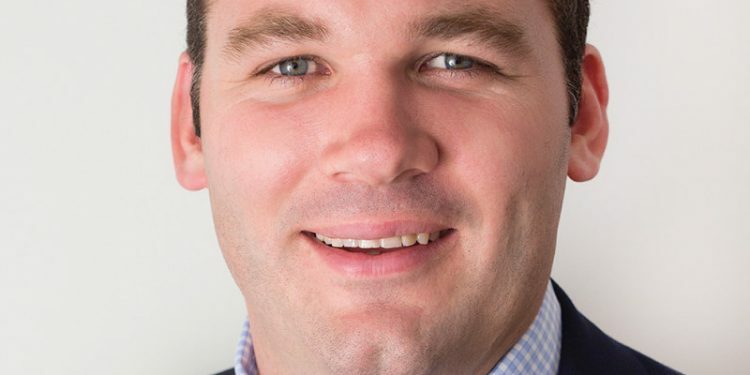 Conservative MP Alex Nuttall (Barrie-Springwater-Oro Medonte, Ont.) was one of the first MPs to support Mr. Bernier’s (Beauce, Que.) leadership for the Conservative Party. Mr. Bernier appointed him campaign membership chair last fall. 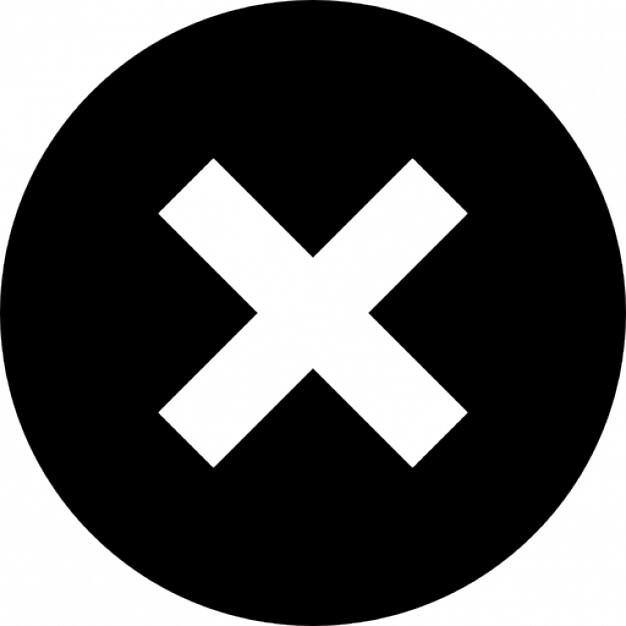 In 2010, Mr. Nuttall, then a municipal councillor, ran unsuccessfully in the nomination contest for the Ontario Progressive Conservative Party in Barrie. He was under fire for allegedly fraudulently signing up party members. 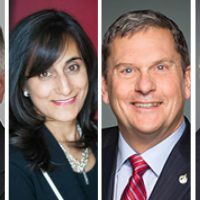 The local PC nomination committee asked the party to disqualify Mr. Nuttall. Mr. Nuttall denied the allegations and the party, after looking into the concerns, allowed his candidacy to continue. The president of the Barrie riding association at the time, Fred Hamelink, resigned from his role after disagreeing with then-PC president Ken Zeise over the matter, citing his “personal ethics.” Mr. Hamelink said after reading a report conducted by an Ontario PC staff member, that the party shouldn’t have dropped its investigation. Mr. Zeise said the allegations were unfounded. 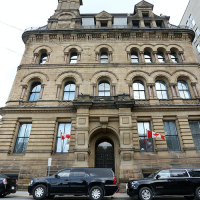 Mr. Nuttall’s office said this week he was unavailable to speak and written questions sent to the office Monday were not answered by press time Tuesday afternoon. 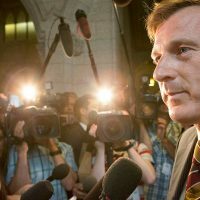 Mr. Bernier denied any misconduct within his campaign, and issued a press release of his own in which he called Mr. O’Leary a “loser.” On Sunday evening, The Globe and Mail reported that Mr. Bernier’s campaign had provided it with a sworn affidavit alleging an organizer for Mr. O’Leary’s team was offering to pay for party memberships within the Sikh-Canadian community, a breach of the campaign rules. 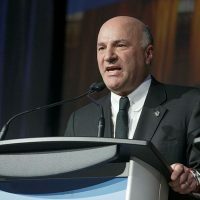 The Globe later reported that a Bernier campaign spokesperson would not answer whether the campaign had given information about the allegation against Mr. O’Leary to the party to allow it to investigate the claim. The spokesperson said the campaign would send any complaints about membership violations to the party and not discuss them publicly. 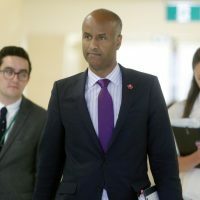 Meanwhile, the Conservative Party, after “an expedited” review on March 17, cancelled more than 1,300 memberships paid for anonymously through two IP addresses, which the party deemed not to have been paid for by individual members, which is against the rules. It did not blame any one campaign in particular. 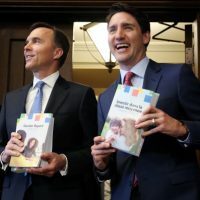 “Those purchases were made anonymously through the Conservative Party of Canada website. 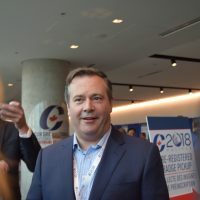 Over the course of the last six months, the Conservative Party of Canada has received 1,233 pre-paid credit card transactions through our website. 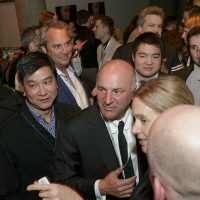 We have examined each of those transactions and roughly half have been traced to the mentioned IP addresses purchasing memberships,” stated the party on March 17. Mr. Nuttall also worked on Ontario PC Leader Patrick Brown’s campaign for PC leadership in 2015, and Mr. Bernier’s campaign has employed organizers who worked on Mr. Brown’s campaign. 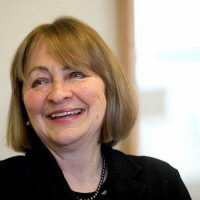 Greer Campbell, who also ran unsuccessfully for the Barrie nomination in 2010, said she “automatically” made the connection between what happened in the Barrie nomination contest in 2010 and the reports alleging that Mr. Bernier’s campaign has been registering fake, or paid-for, memberships. According to local media reports at the time, a report was conducted by John Spink, who was then a regional organizer for the Ontario PCs. The report concluded that Mr. Nuttall had paid the membership fees for some new party members, and determined at least 111 signatures on membership forms had been forged. In addition, the report said a “great many” of the $10 bills attached to the membership forms, as per the $10 membership fee, were in serial-number sequence. At that time, memberships could still be paid for in cash. 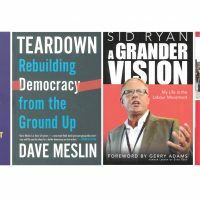 In the federal leadership race today, memberships have to be purchased via credit card or personal cheque. 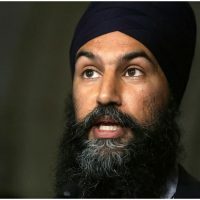 The allegations against Mr. Bernier’s campaign are that memberships were being purchased with pre-paid credit cards. “One must assume that the Nuttall campaign paid for the vast majority of the memberships submitted on Nov. 26. 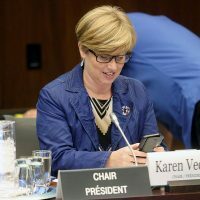 In order to procure such a large volume of crisp, new $10 bills in serial number sequence, they must have been purchased from a financial institution during the week prior to the membership deadline, since the nomination date was only announced on Nov. 18,” the report, as printed in The Barrie Examiner in 2010, reads. Mr. Spink declined a request to comment for this story. Mr. Nuttall at the time countered that the sequential bills were submitted as such because his campaign had to make change for members the organizers were signing up. He said by the membership deadline at the time, he was left with a lot $50 and $100 bills, so he deposited them into the bank and withdrew the $10 bills to attach to the individual memberships. He also said the numbers Mr. Spink produced did not add up. 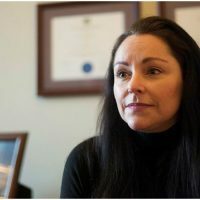 Mr. Zeise, who was president of the PC party at the time, said in an interview with The Hill Times this week that “the local nominations committee in Barrie clearly did not like Alex’s candidacy.” He said he considered the allegations to be unfounded. Mr. Zeise said the party “did randomly call people on the list.” He said about two-dozen random calls were made to verify that those on the membership list knew they were members. “Anybody can submit lists of people to the party with money. In order to vote, you’ve got to show up by a certain time, verify that you are who you say you are, and if there are any issues with your address you could be challenged,” he said. 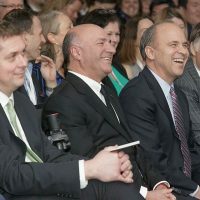 The nomination meeting for Barrie that year was “smoother than anticipated” in that regard, he said. Rod Jackson won the nomination and went on to become the MPP for Barrie. 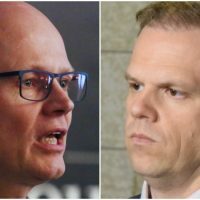 Mr. Nuttall stayed on as a municipal councillor and went on to become an MP in 2015, winning against Liberal Brian Tamblyn by 86 votes, after a recount. But for Ms. Campbell, who said she still believes Mr. Nuttall did produce falsified membership forms, the experience put her off pursuing a political career. “I have major concerns about what happened in 2010. I don’t feel it was addressed in a way that would ultimately change the way people are nominated. The nomination process is really very insular and it’s something that definitely needs some revamping,” she said. Mr. Jackson said if one thing comes out of Mr. O’Leary’s allegations, it’s that political parties should fix the system. “The system of finding a new leader and finding candidates for all parties is broken,” he said.